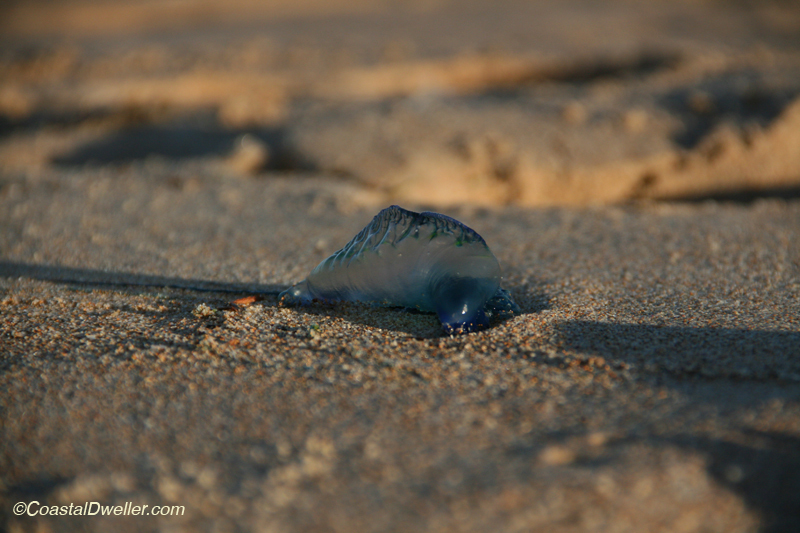 Blue bottles, also known as stingers, are common in the warmer months. 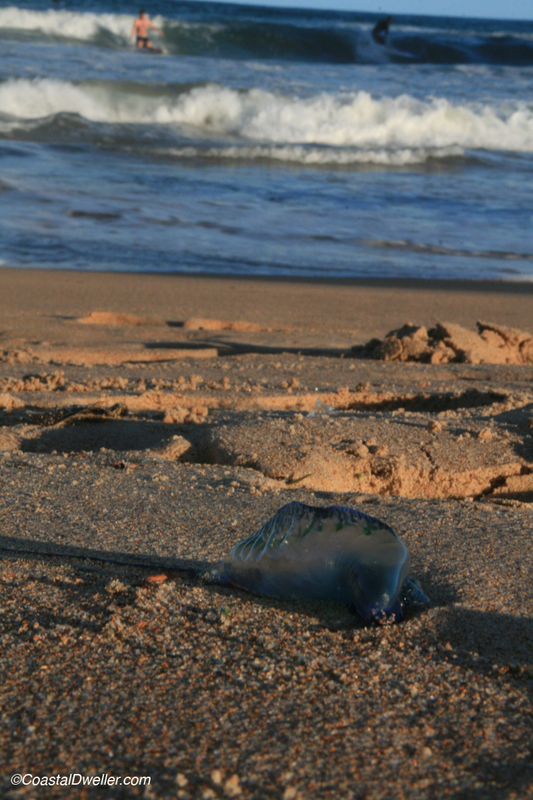 These little blow-ins come in with onshore winds and are the scourge of swimmers. The long tail is the nasty end and they can be several feet long — perfect for getting wrapped about your arms or legs. The sting burns at first, but the pain usually only lasts about an hour. An occupation hazard if you want to enjoy the water all year round.